It was launched on 1980 and about 30 years it is the best seller. There is lotion and essence together so it’s 2 in 1 product. Some people I know used for a long time about finishing 5 bottles. They would use this forever and some times they would change to using Guerlain Super Aqua but eventually they would go back to using this. It’s strange but I tend to like this. The packing is rural like but the bold big word tends to look classic. Also the scent is unique but not bad. It’s not considered to be that sticky like essence lotion applies smoothly. But fir middle oily and middle mixed oily skin can skip the cream part and apply only this like me. I don’t feel any insufficient because on top of that sunblock and foundation are applied. When there are friend around me who have over floating of money I recommend this instead of men’s cosmetics. There is enough amount of moisture and oil so doesn’t suffer from stickiness. They are very satisfied with using only this product. However compare to the price, there isn’t any dramatic change. It said to boost up the effect the product you apply on top however I can’t really feel it. 3. Others: it’s Sisely and I have trust on them even though it's expensive. I used this so my skin is this healthy now. So when there are reasons to buy, I won’t say no in purchasing. I finished one bottle and I am satisfied but I won’t thick as it’s excessive to buy this product. There aren’t great differences with other middle low price products. I saw this while I was stretching and thought it was too much for advertisement so I didn’t buy this product. About the time when this was released I went to buy some sunblock. They gave me some sample to try this new product so I decided to test it out. I used the whole bottle but I don’t feel any difference. It feels very light and fresh but, it wasn’t like a statement said in the commercial. It didn’t change my skin to baby skin within 7 days. I haven’t felt the effect and didn’t turn out to have flawless skin. However the absorption is really quick. I felt some moisturizer effect. I saw some comments by the users. I think it, might be you’re only though so I called some of my friends to test this product. Friend 4: She bought the whole bottle and finished using it! I felt the difference after 3 days however form that on I don’t feel any further effect. These were the result. So you decide whether to buy or not. It gets an idea of everything well go flawless for the skin. This is hard to be said as an essence but this is used after essence for people who use extra cosmetics. I don’t use several products all at once so I use this instead of essence and apply cream on top. The scent isn’t too pleasing. The application isn’t too bad. In skin recovery treatment, there is moisturizing effect so there are times when it’s enough to use only this. When I woke up, I feel my skin got better you exactly feel it got smoother. It isn’t like new fresh skin is appearing. Also, there aren’t fast recoveries on the marks. Don’t put too much hope on seeing the recovery but just think as this essence to help the actual happening recovery in the skin itself. There isn’t any stickiness however, not recommended to oily type skin. The oily effect isn’t too much but might feel uncomfortable. The skin can get sensitive without reason. This product can also take care of the keratins so control the amount you apply. Further more, after removing the dead skin, new skin comes up. I don’t recommend functional or special feature products to early 20’s. The skin itself can recover when you eat and sleep well. Even for me, during that age my skin could recover when I close and open my eye. So when you want to care for your skin in early ages, try to change the eating habits. This was a set with emergent and skin softer. I don’t use emergent so gave it to my friend. This is high moisture essence for giving moisture and nutrients. So instead of being translucent, it’s like a lotion or emergent type. I didn’t use it during the daytime but only on nighttime before I went to sleep. The next morning, I felt fresh. Lancome said changes within 7days but no effect. However I saw the difference in this product by using it only for 2 day. I didn’t sleep more or eat but the dry feeling on top of my hands disappeared. I feel my skin became more tight and fresh. 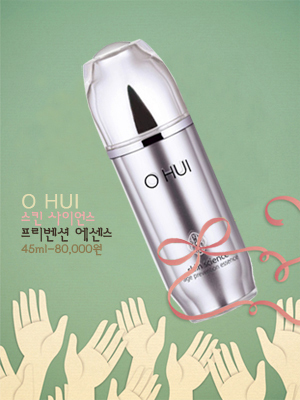 Yet when I tried this product, I looked into O Hui I new perspective. Not only that, but cosmetics from LG are all fine. The design of the case is sophisticated and there are several products that give no regret on purchasing. I felt little bit of oily stating a high moisturizer. You could feel the stickiness right after application but it’s the moisturizing effect. The absorption is really quick. You might think, it absorbs too quickly so have been evaporated but you can see the difference clearly on the next morning. I was enough using only this during daytime and nighttime. However when you are suffering from dryness, apply some cream after applying this essence. There is little bit of difference according to the skin type. People who have oily and mixed type skin will be fine to use only this. I definitely want to repurchase this item. In the line of Skin Sciene, I tried using Aqua essence sample and was lighter and less oily than prevention. I was satisfied with the texture and the effect however it might be too light to use during this cold weather. However for oily skin type, Aqua essence will be better than prevention. The price is 10,000won cheaper than prevention. 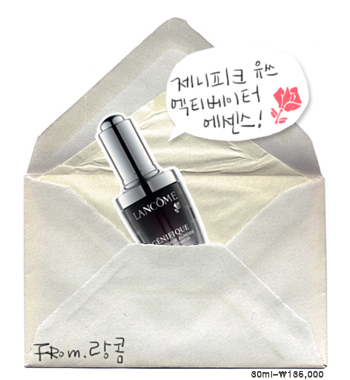 On the other hand there is ‘Skin Science Recovery Serum’ 30,000won higher in price. I didn’t tried it but the smell was like, my should use this. When I have a chance to buy next time, I will do a review on it. Will Skin AC-LAB Clear Serum 10This is in the line of spot care system. 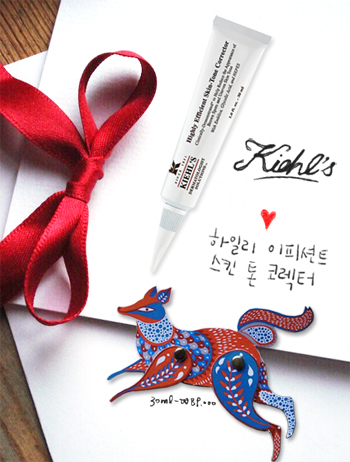 In the past days there was an e-mail from Will Skin to write a review on product when they send some samples to try out. I even refuse to accept samples from Chanel and Dior on writing reiviews. I didn’t want to waste my time on the product I never heard about. So usually I say I will buy the product myself when I want to. I had in my memory that was made from Seoul National University research team. I didn’t think about meeting this product in the hospital. There is a hospital I go where the chief of the hospital is formal doctor of the president. I got introduce from my friend and heard that he can really examine the cause of bad skin. During that time I was suffering from blotches on my face. The biggest problem was the over production of oil that I couldn’t even apply any cosmetic. Doctor said to work out constantly and every time when I visit him, he emphasizes the word on working out. He told me my skin immunity system is weak so in order to fix it is to do some sports. Also he gave me two medicines. I don’t think it’s actually a medicine because there wasn’t any prescription. The origins of the cosmetic were unknown so by the special magic formula this hospital is known to be famous for. One of them was from Will Skin. I didn’t know until I was about to use it. It was a serum so after applying these two you could apply moisture on top but for me it was enough to just use these two given by the doctor. Back in the days, right after when I washed my face, oil came out right away making me to have severe oily face. I didn’t want to wear anything but I have to do makeup so needed to apply some moisturizer. My face was over floating of oil and no moisturizer. Then I met these two products and used them. In surprise there was moisturizing effect and not too much oil. The reddish spots relaxed when I put them on before I went to sleep. When I put it on daytime, there wasn’t too much oil than other products and fills in with the lacking moisturizer. There is even a picture to prove that I finished two bottles. This is a serum for taking care of spots and blotches however with only this, it doesn’t calm them all down. Especially for me, I didn’t expect because I tried many spot caring cosmetics that didn’t work. I didn’t see any effect even with famous brands known so I didn’t have any high expectation. I don't recommend using normally as moisturizer for acne skin or oily skin. If only there isn’t any product for severe oily and acne skin to use as a moisturizer. Especially for people who breaks out with too much oil should try using this. Usually those people give up on moisturizer. Also there are sometimes worsening the effect by filling in with moisturizer. This is a product where you can use it with light feeling. Don’t ever think about caring acne or any blotches. Even though there are some effects it doesn’t last long. This is also recommended to high school students or to men. The entrance is in pumping style and you can use it nearly all the way because the bottom part pushes the substance upward. However there is only little amount, about 10ml. I don’t think it lasts for a month. I used it about 2 weeks because my break out doesn’t last that long. However for people who lasts the whole year would think it’s expensive to buy but if you are only applying this, it’s a same cost for buying many other cosmetics. I bought it to test out if it works as a moisturizer. It looked inexpensive and the scent was too strong however felt moisturizing after application. It wasn’t sticky but more like jolly feeling and could see the shimmer on my face. At first I felt heavy for an essence but absorption was quick. Even after the absorption, it wasn’t too heavy or greasy. However it will be hard to give too much satisfaction on the persistent and the effect. Also it’s hard to use alone as a moisturizer for a middle skin type. For dry type skin, use it with a cream but if the cream your using now is satisfying don’t really have to purchase this item for an effect. If you are using cream and essence, instead of buying them in inexpensive cost, pay some more on the moisturizer and just buy this essence for low cost. 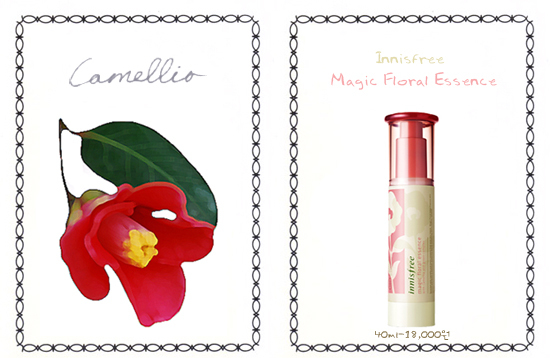 If you are unsatisfied with the cream that you are using, using this essence together will support on giving moisture. There are some people who still breaks out so I can’t be sure on which cosmetics to use exactly. People who have sensitive skin should test them out and purchase them. Missha, Etude House, Innisfree, The Faceshop, and etc are used by 20’s as well but for 10’s for inexpensive cosmetics. So don’t get lure by the reviews and comments because during that time, they would have a skin that are in fast in recovery and looks pretty no matter what cosmetic the use. Don’t really trust on the passionate reviews because you wouldn’t see the effect as they do and could built on sensitive skin. In case of dry skin type, which doesn’t work even though they apply moisturizer. This time, you should consider in changing toner. Not like a ordinary liquid toner but with thick texture like essence. Instead of using a toner after washing their face, apply some thick lotion or essence on the facial cotton and apply them. However I don’t really recommend to people who have enough amount of oil.